The meats, vegetables, cheeses, and sauces featured on your menu of sandwiches are very important, but customers have very specific preferences as far as bread is concerned. The bread offered at your deli is the canvas on which you will create a variety of delectable sandwiches for your customers. As such, it is crucial to choose high quality bread that is baked fresh every day. 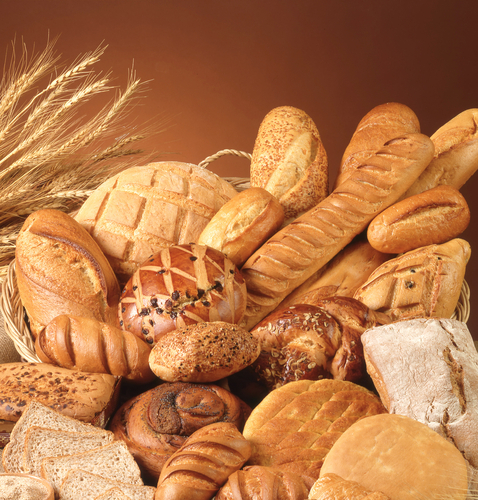 Choosing the right breads for your deli is therefore an important part of any deli. One of the most popular bread options is whole grain bread. Whole grain bread is healthier than other bread choices because it contains complex carbohydrates that won't break down quickly in the digestive tract. Whole grain is also very flavorful and hearty. Some customers want comfort in a sandwich, so offering traditional white bread is a necessity at your deli. Choose a white bread with a soft interior and a flaky, golden crust to create the best deli sandwich results. Rye bread is identifiable from its sharp flavor. It contains a high amount of fiber and is low in fat. This bread is commonly featured on corned beef or pastrami sandwiches. Pumpernickel bread isn't quite as common as white, wheat or rye bread, but it is still fairly popular. This bread is easily identifiable from its dark, chocolate brown color. Pumpernickel is a heavy, slightly sweet nutty and flavorful type of rye bread that is a perfect complement to hearty meats such as roast beef. You may also want to have an assortment of rolls and buns in your deli. Some consumers prefer the buttery flavor and soft texture of a roll with their sandwich. If you want to add a little variety to your deli menu, consider including some specialty breads on the menu that customers can choose to add flavor and change to their traditional orders. Many customers like to order the same sandwich every day. If your customer loves turkey and Swiss, for example, he may appreciate the chance to change his order by selecting a new and exciting bread option. You can even offer a "bread of the day" option for consumers, and change this special bread on a daily basis. Common specialty breads include sweetened bread, onion bread, vegetable blend breads, potato bread or breads made with unique grains such as barley or rice. Bread needs to be stored correctly to maintain freshness. Keep your bread in a cool, dry location to prevent the bread from growing mold and ruining the entire loaf. Also, keep your bread sealed in clear bags to prevent the bread from going stale. By including these six popular sandwich breads on your deli menu, you will be able to satisfy all of your customers and keep them coming back time and again.